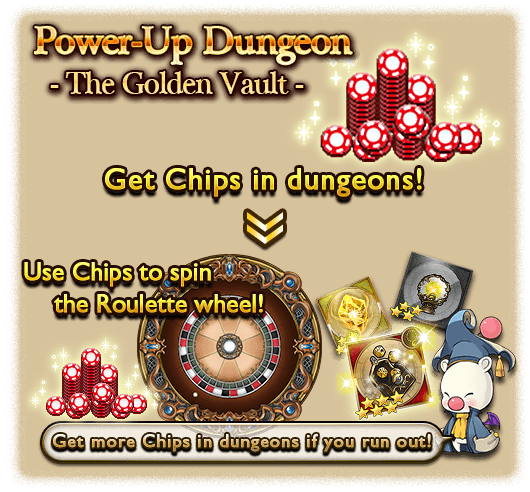 Every spin of the roulette wheel requires 100 chips, available in the Golden Vault dungeon during the event. 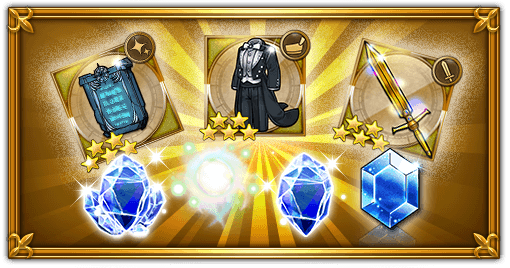 Many different items are available as prizes from the roulette wheel. Gather your chips and give the wheel a spin! * You can only win each roulette prize a limited number of times. 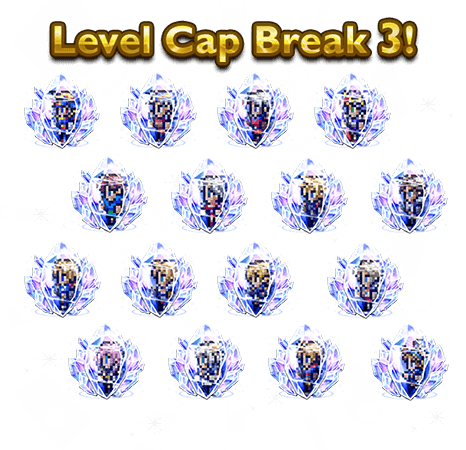 Once the limit is reached, the prize is removed from the prize pool. * The drop rate of a particular roulette prize changes depending on the prizes remaining in the prize pool. 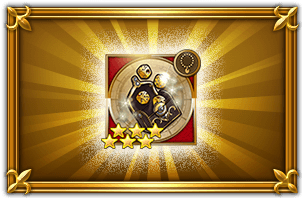 * Chips can only be used during the event. 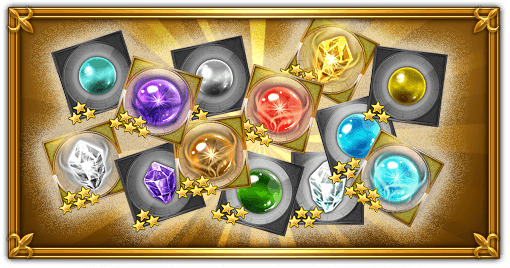 Leftover chips will be lost once the event ends, so be sure to use or exchange them while the event is still going on! 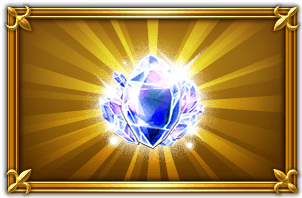 The Lucky Dice are a 6★ accessory available during the event that grants minor resistance to all elements! 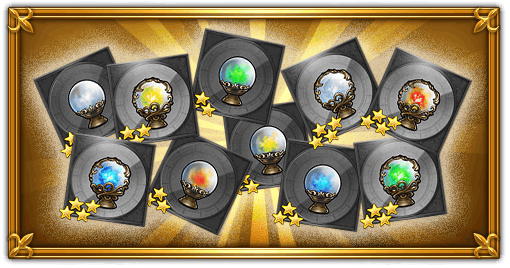 Gain the upper hand in battle against enemies who use a variety of elemental attacks!